This blog post contains a paid collaboration with Appletiser. Have you seen last month’s recipe yet? If not, then what are you waiting for? Click here for my Stuffed Butternut Squash Recipe. Some of the recipes that I am creating in this collaboration are more obviously including 1 of your 5 a day – and others are a little more subtle, such as this one! But I am sure you’ve already had a peak at the title and might have a good idea what we’re up to here. 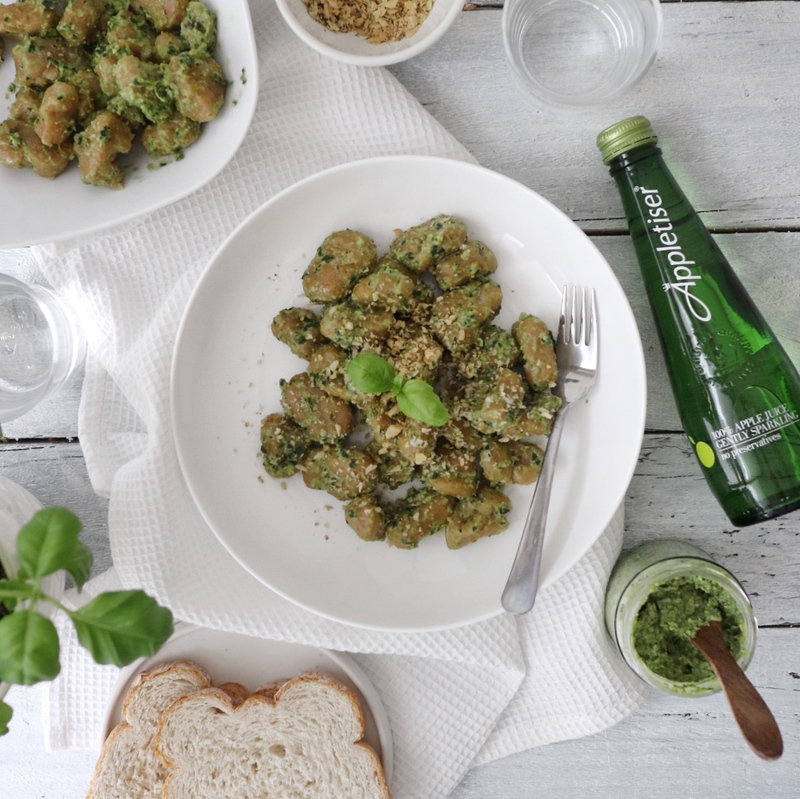 Well, fact of the day: Gnocchi cannot only be made from potatoes – but also from other veggies! Not sure when I first had the idea to try this out – but I did like the sound of that challenge instantly, so here we are! 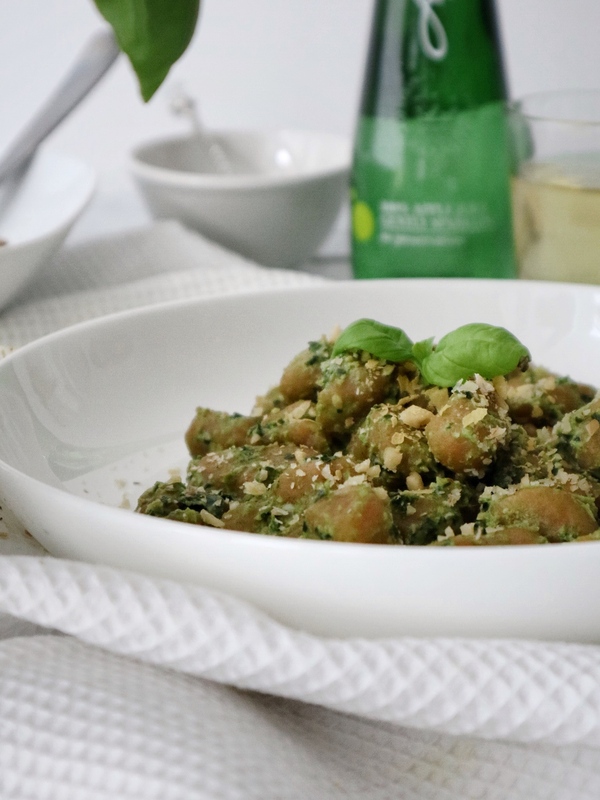 I initially had the thought of trying out pea gnocchi, but I funnily have to admit that my local supermarket was all sold out of peas on the day I went shopping for this recipe, so the decision was clear: we’re going with carrots instead! And how suitable also as it’s only just been Carrot Day on 4th April – it was meant to be! Making these was actually much simpler than I thought it would be. Having made my own potato gnocchi before I knew that I should not underestimate the amount of flour that was going to be needed. 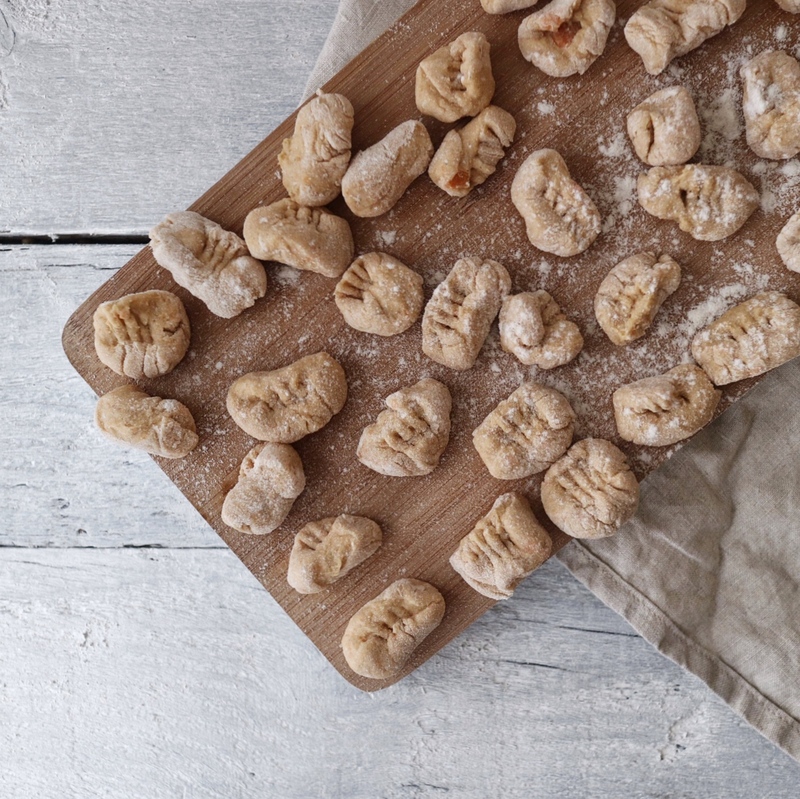 Funny story: when I made my first potato gnocchi I boiled and mashed a whole kilogram of potatoes and then ran out of flour – it was not a good day ha! This recipe is perfect to bring along to a supper club & to stunn your friends – cause carrots, who knew?! I am sure these carrot gnocchi would be absolutely scrumptious if they’re just tossed into some olive oil & garlic (uh and how about some thyme with that?) 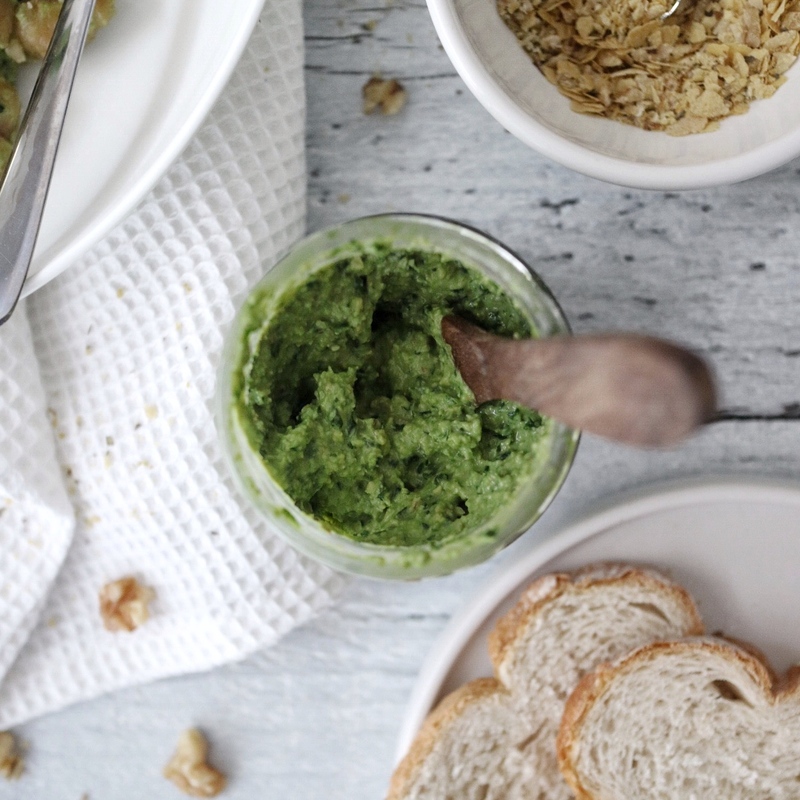 – in this case I decided to go with my self-made vegan kale & walnut pesto. The recipe for the pesto can be found here. 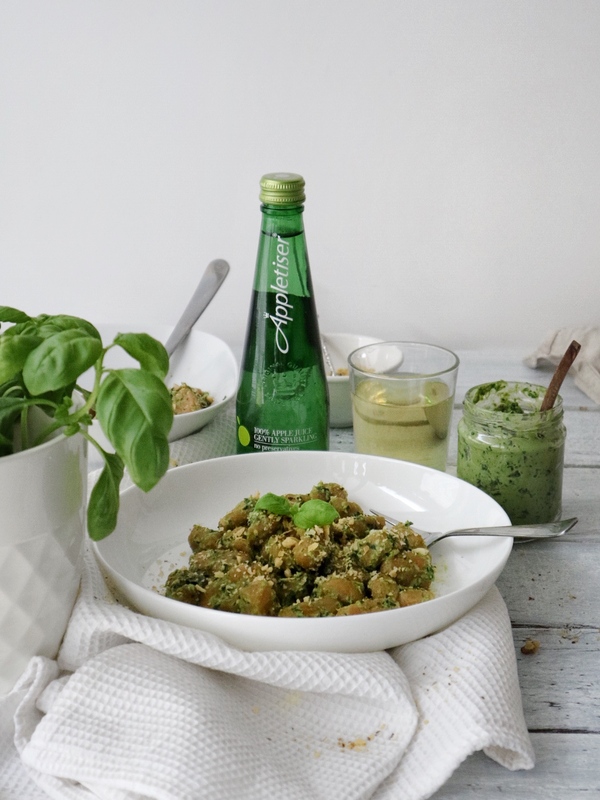 And above all, a fresh Appletiser goes perfectly well with this recipe and I am thankful for Appletiser to be sponsoring this tasty recipe this month! 1. Wash your carrots and peel if you like. I always buy organic carrots and brush them with a bamboo brush in my sink to prepare – this saves having to peel them and brings some extra nutrients to the dish. 2. Bring 2 litres of salted water to the boil, chop your carrots into equally small chunks and add to the water. Boil for 15-20 minutes – the smaller you cut your carrot chunks, the quicker the cooking time. I cut my carrot into 5mm slices and cooked for 15 minutes. 3. Drain the carrots well and add them to a big bowl together with the parsley, garlic, onion and salt/pepper. Start mashing them using either a potato masher or a large fork until you get a smooth carrot mash. 4. Add 200g of plain flour and use a spatula to combine it with the carrot mash. As soon as it’s all combined you can add the rest of the flour in 50g portions. Add more flour until the dough gets slightly firmer and it’s not sticky anymore. I recommend using your hands to combine the mash & flour, I simply find it easier to blend the flour in properly. 5. Let the finished dough rest for 10-15 minutes, then cut into palm sized portions and roll out in long sausages of about 15mm diameter on a floured surface. 7. Bring another 2 litres of salted water to the boil, then add the carrot gnocchi individually (so they don’t stick together after!). 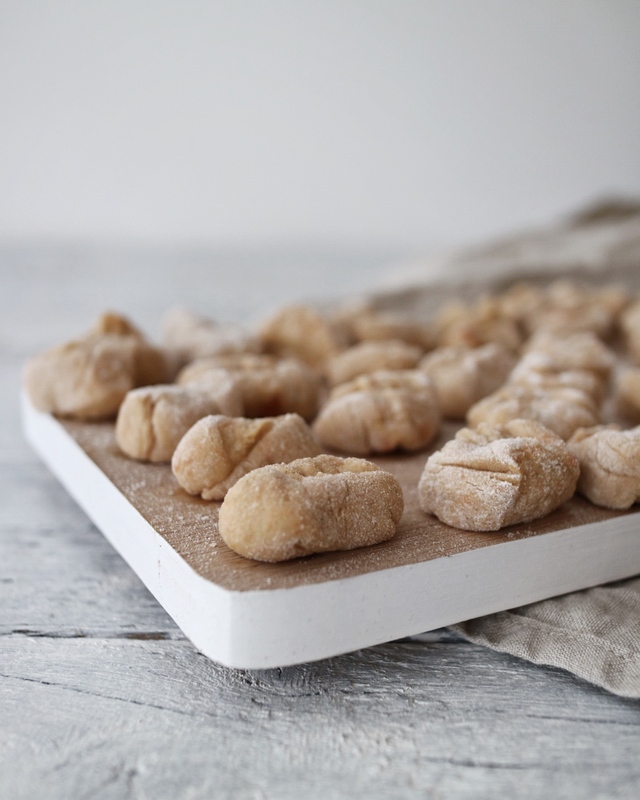 Your gnocchi are done when they float on top of the water. 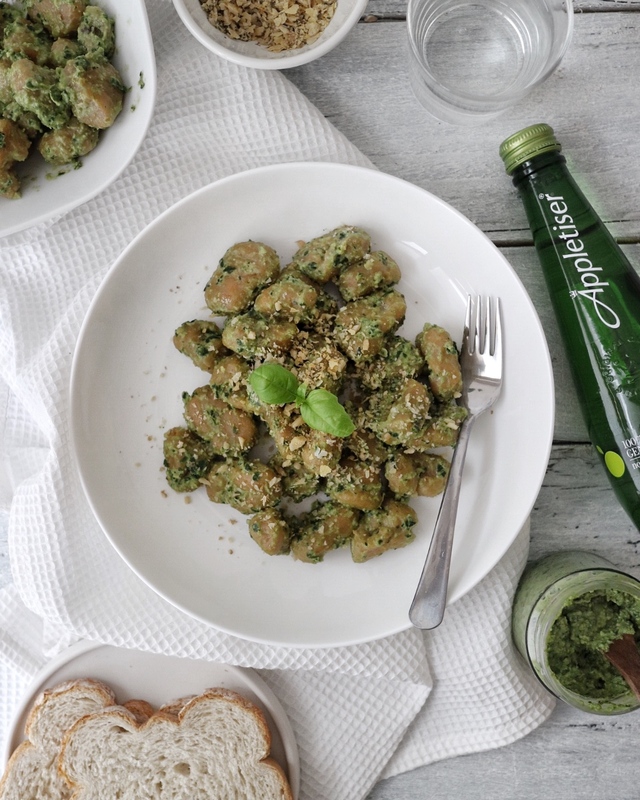 Thank you to Appletiser for sponsoring this recipe post! Previous Post How does Vegan Keto work?